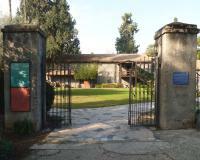 Degania & Nahalal is part of the Tentative list of Israel in order to qualify for inclusion in the World Heritage List. Click here for a short description of the site, as delivered by the state party. The coordinates shown for all tentative sites were produced as a community effort. They are not official and may change on inscription. Israel has selected 2 communities for placement on its T List to represent the many streams of thought (religious, political and social) across the 20th Century, as to how cooperative agricultural settlements within the country should be organised. Nahalal was founded in 1921 as a “Moshav” which operated a system of communal farming whilst maintaining the individual family structure. Degania, on the other hand, was the very first Kibbutz dating back to 1909 and was founded on non-religious socialist lines with shared facilities for dining, laundry etc, children living together and wealth/income being shared. They are situated around 50kms apart with the former a few kms west of Nazareth and the latter near the south end of the Sea of Galilee. We visited both, but, for various reasons, were not able to explore the history and the current reality in as much depth as we would have liked. Our first visit was to the “Moshav” of Nahalal. Although by no means the first Moshav (the original settlers at Degania actually moved from one at nearby Kenneret to set up their different communal approach) it is “famous” for its concentric layout (which apparently was followed by others). Admin buildings are at the centre, then living accommodation, then farm buildings followed by gardens and fields. The aerial photo in this link gives a good idea of what it looks like. http://www.nahalal.org.il/english-page/ . We drove around to make a couple of complete circuits but, as far as we could see, there was nothing provided in the way of information for “outsiders”. I guess we should have stopped to try to engage some locals in conversation but we were running a bit short of time and felt we had gathered a reasonable idea of the layout. With its specific “village planning” aspect linked to its social structure Nahalal would indeed seem to be a good candidate for nomination. The Kibbutz of Degania was a bit more promising for a visitor, with notice boards advertising its historical status and a display of some historic agricultural implements/machines (as well as a captured Syrian Tank to commemorate a battle fought there in 1948). At its centre lies a small group of buildings going right back to those early days (Photo). The design of this “Pioneers Yard” (now acting as a social centre) is based on that of a German farm house and provides a direct link to those early pioneers from Europe. The original dining room has been converted into a museum – we looked in but, unfortunately, a lecture to a group of visitors was ongoing and we were unable to pay it a proper visit but, on this occasion we did “put ourselves about a bit” and strike up conversations with residents and discover some aspects of life in the Kibbutz in 2014. Despite (or even because of) such social and economic changes it seems right that some physical aspects of the early Kibbutz should be maintained whilst they still exist and I would regard their WH inscription as being justified – even if politically problematical.